Springing from Italian roots, Gelateria Danieli is a family business that grew in the heart of Richmond. 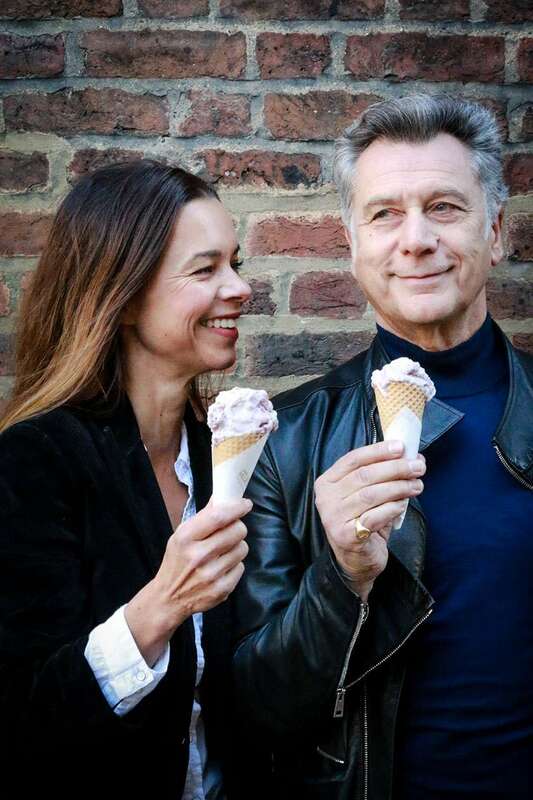 Carlo and Bridget, with their passion for authentic gelato, noticed that this Italian delicacy wasn’t widely available in the UK and decided to do something about it… much to the delight of​ Brewers Lane and its visitors! The first shop opened in April 2005 and its machines are still whipping up delicious gelato for the latest Gelateria Danieli branches and beyond. In 2011, they decided to take over the successful House of Chocolates on the picturesque Richmond Green. Bridget, a nutritionist and health expert, uses her knowledge to create innovative ice creams and sorbets to suit every need – whether dairy free, nut free, egg free, high protein or gluten free. No-one should be left out when it comes to gelato! Like many of our ingredients, Carlo hails from sunny Sicily. His expertise in luxury menswear and brand creation helps him on his mission to constantly innovate and authenticate the Gelateria Danieli experience. Carlo is often seen in the shops talking to customers.